ThinkForex has been established in Australia in the year 2010. 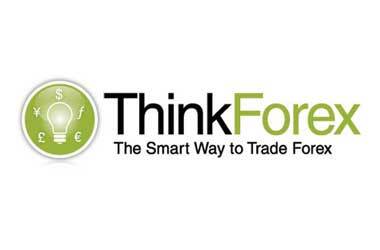 ThinkForex is actually the brand name of the company called TF Global Markets Pty Ltd. It is an award winning forex broker and also which is fully regulated by the Australian Commission for Securities and Investments. They also belong to few of the rare breed of forex brokers that permits their clients to scalp, hedge and pace up the speed trade on their platform. Having technologically well sounded infrastructure, best customer service and tight spread the traders will not need to find any other broker after registering account with this reliable broker. The broker also requires very low minimum initial deposit to start with and it is a trader friendly broker. The brokers provide 2 most popularly and widely used trading platform. The Meta Trader 4 and cTrader are the trading platforms supported by the broker. MT4 platform is common but it is not the case for the cTrader. It is ThinkForex’s proprietary web platform that permits the traders in trading CFDs without the need to download software from online and install them on to the local PC or laptop. Exciting features from the cTrader tool are like Real time Trading reports, Single One-Click Execution and On-Chart Interactive Chart Trading. MT4 and cTrader platform can be downloaded as well and installed onto mobile devices that works on iOS or Andriod. ThinkForex provides 3 types of account to their traders so that they can start trading. Standard account is a type of trading account that requires $250 as Minimum Deposit. This is the best fit for the entry level traders. Pro account requires $2000 as Minimum Deposit that can better suit the intermediate level traders. And the VIP account requires $25,000 as Minimum Deposit which can better chosen by the expert traders. Based on the type of trading account, the broker keeps varying the spreads based on the type of assets traded. They keep the spreads as low as 0.2 pips. About commissions the standard account pays the broker nothing but the Pro account holders are charged by the brokers as 3 units per leg per lot. VIP account holders pay a special rate scaled based on the trading volume. Customer service at ThinkForex is one of the greatest need and they are available to help their traders on a 24/6 basis. Customers can connect to their support team by multiple channels like Live Chat, Email or phone.